Every time you buy firearms, ammunition, and archery equipment the manufacturers pay an excise tax that is reflected in the sales price. Did you ever wonder where that money goes? 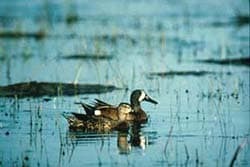 For more than seventy years, the Maine Department of Inland Fisheries and Wildlife, like other state fish and wildlife agencies, has benefited from funds generated by the Federal Aid in Wildlife Restoration Act [Pittman-Robertson, PR] to fund conservation and management of wildlife programs. The Federal Aid in Sport Fish Restoration Act [Dingell-Johnson, DJ] is a companion program that funds conservation and management of game fish species. PR funds, collected through an 11% federal excise tax on firearms, ammunition, and archery equipment and a 10% excise tax on handguns, have been critical to conserving game species and their habitat and have provided numerous secondary benefits to nongame species as well. 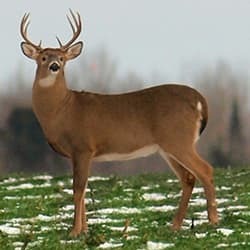 The PR program established a partnership between hunters, firearms manufacturers, the U. S. Fish and Wildlife Service, and state wildlife management agencies like the Maine Department of Inland Fisheries and Wildlife, to ensure that wildlife management programs are funded, and that those paying for the program (hunters) will see the vast majority of the funds go to programs directly benefiting game species in their state. Hunting is much more than a traditional pastime in Maine; it is also a powerful part of Maine's economic fabric and the $2.4 million dollars in economic output that fish and wildlife-related recreation generates in Maine. During 2006, hunting generated more than $240 million in retail sales activity and helped support thousands of full and part-time jobs in the state, which paid out almost $130 million in salaries and wages. These wage and employment benefits were not concentrated in only one or two economic sectors but were shared across many sectors of the Maine economy. 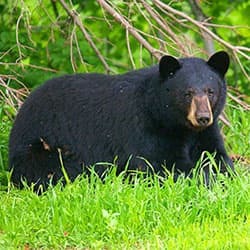 These income benefits are particularly important in rural or remote areas of the state, where much hunting takes place. Of the total funds collected nationwide each year, each state receives a portion that is dependent on the land area of the state and the number of hunting licenses sold in the state. In Maine, we receive about $3 million each year. In 2010 we saw a 50% increase in PR funds to $4.5 million. This spike in PR funds was believed to be the result of a surge in firearms sales brought on by fears of tighter gun regulations nationally. How does this translate into a wildlife program? First, the money must be spent on management programs for birds and mammals. Then, the federal money must be matched with 25% state money. This means that for every $1.00 that Maine puts into management for birds and mammals, we can receive $3.00 more of federal PR money to put into those programs. Here in Maine, 75% of the salaries and operating costs of our research and regional management staff related to game animals are paid for by Pittman-Robertson dollars. Were it not for PR funds, we essentially would not have management programs for deer, moose, bear, furbearers, and upland game, nor habitat programs with landowners or on wildlife management areas.